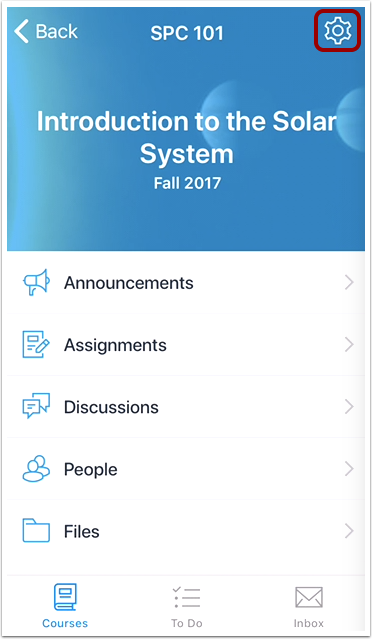 You can manage the course name and the Course Home Page in the Teacher app. 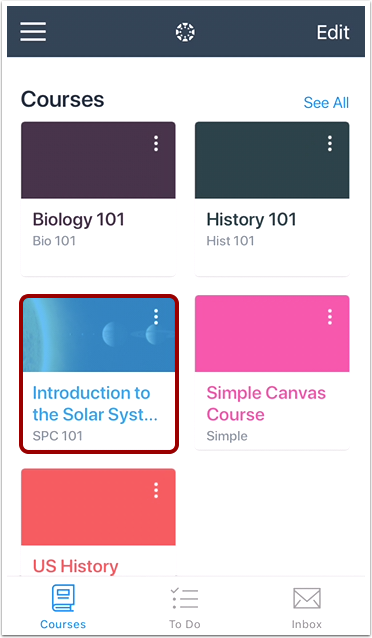 In the Courses tab, tap the course name. 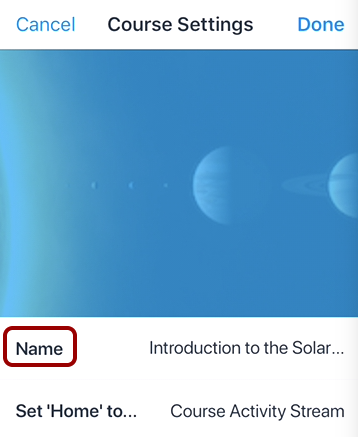 To change the course name, tap the Name option. 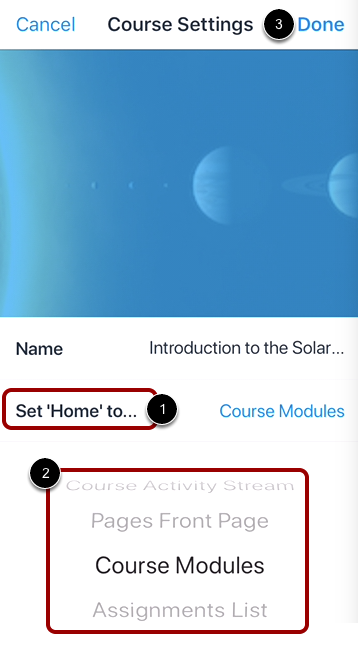 To change the course home page, tap the Set 'Home' to option . In the Home Page list , select the new home page for the course. Changing the course home page affects the web version of Canvas. Previous Topic:How do I view Courses in the Teacher app on my iOS device? Next Topic:How do I view the To Do list in the Teacher app on my iOS device? Table of Contents > Courses > How do I edit course settings in the Teacher app on my iOS device?